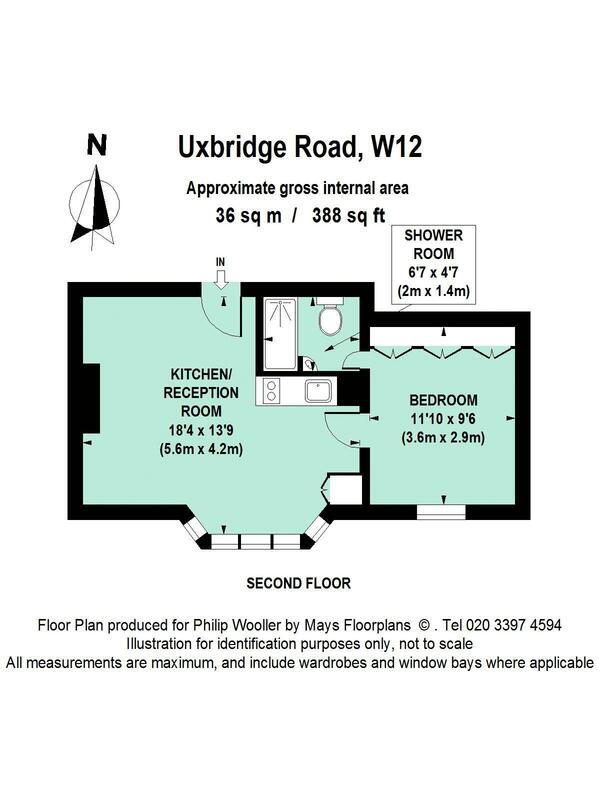 A bright top floor (second floor) flat with good double bedroom and a compact but sensible layout, offering an 18' reception room with open plan kitchen area and a modern shower room en suite. The flat is situated in a listed building above the popular gastro pub 'The Queen Adelaide' and has well maintained common areas. It is in the heart of the vibrant Uxbridge Road area, near numerous interesting shops and restaurants, and local favorites like The Bush Hall, Bush Theatre and of course Westfield. Transport couldn't be more convenient with a bus route outside the door and Hamm. & City and Central Line tubes within a few minutes walk. 388 sq ft / 36 sq m approx.